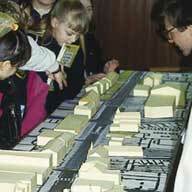 Models are one of the most effective tools for getting people involved in planning and design. They are particularly useful for generating interest, presenting ideas and helping people think in three dimensions. Models can be made from a wide variety of materials. They can be elaborate, aiming to be as realistic as possible, or simple and illustrative. The choice will depend on the purpose of the model and the resources and time available. Models are often adaptable so that alternative proposals or options can easily be shown by moving parts around. 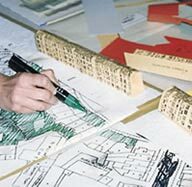 The construction of models is highly educational and enjoyable and is often done in groups as part of the planning and design process. The Prince of Wales's Institute of Architecture, 1997, Nick Wates. A very good way to gain an understanding of how a building or city is put together. Slick presentation models are good for presenting proposals but are usually hard to adapt and so inhibit creativity. Think through the options for construction carefully at the outset. 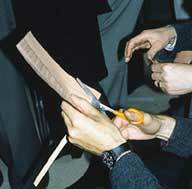 Generally, use materials that are easily available and simple to cut up, shape, fix, colour and move about. Pasting base-maps or plans onto a rigid board is a good way to get started, and it ensures that you get the scale right. 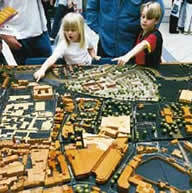 Models are an ideal centrepiece for exhibitions, workshops and venues such as architecture centres. Models can cost very little if scrap materials are used. Presentation models can be extremely expensive. The main cost involved though is time. One innovative way of paying for detailed models of a neighbourhood is to get building owners to pay for the cost of having their own buildings upgraded from simple blocks or cut-outs to being fully detailed and painted. Buildings made from wood blocks and glued onto a wooden baseboard. Good for displaying outside and generating attention. Very durable. Need a workshop to make one. Buildings made out of folded cardboard and glued onto a cardboard base board. Very flexible but not durable. Good focal point for design workshops and interactive exhibitions. 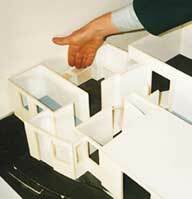 Simple cardboard model scaled to help people design room layouts. The one shown was used by blind people designing a new centre for the blind. 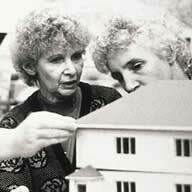 Large-scale model using cardboard, allowing people to be involved in designing their homes to a high level of detail. Oxpens Initiative, Oxford, UK, 1997 Roger Evans Associates. Stockport, UK, 1988 Nick Wates. Community Technical Aid Centre, Manchester, Forge Project, Cinderford, UK 1993, Nick Wates..